Prime Minister, President condemn shooting attack in Binyamin region in which 25-year-old Danny Gonen was murdered. 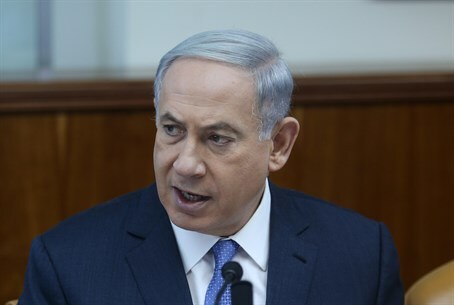 Prime Minister Binyamin Netanyahu on Friday evening responded to the shooting attack near the town of Dolev in the Binyamin region, vowing that Israel will find the terrorist responsible. “The signs on the ground indicate that the shooting incident today near the community of Dolev was a terrorist attack. We are working to identify whoever carried out the attack,” Netanyahu said. “We will not accept a situation in which a young hiker has his life taken from him in the land of Israel, because he is Jewish. Security forces will work tirelessly to bring to justice those responsible for this cruel and brutal act,” declared Rivlin. “There should be heard clear and decisive condemnation of such criminal acts from both the Arab leadership, which bears responsibility for actions of terrorism emanating from its territory, as well as from the leaders of the Arab community in Israel,” he added. The man who was killed in Friday’s attack has been named as 25-year-old Danny Gonen from the city of Lod.